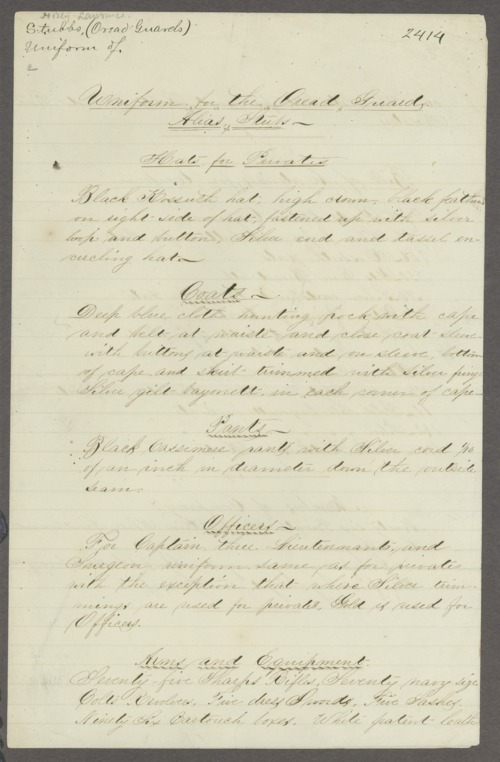 A list of necessary clothing for the uniforms worn by the Oread Guard in Lawrence, Kansas. The requisite color, style, and decoration of the coats, pants, and hats are noted. This guard had ninety-six privates, one captain, three lieutenants, and one surgeon and was organized on April 6, 1855. The group was also known as the Stubbs Guards.